This is a holiday party for our members and their families. We have an Auditorium that seats 200 that we would use for this. We are interested in at least 2 performances. Note: the time would actually be in the morning like 10 or 11 a.m. I am looking for either Ventriloquists, a Puppet Show, or a Magician for a Kid's Holiday Party at our firm. Please let me know what the cost would be to host all 3.
Who do you think you’re callin’ a dummy? Oh… you’re just looking to hire a ventriloquist and their dummies for your next event? What a good choice! You’ll be amazed at how these ventriloquists can manipulate their voices without even moving their mouth! And they are a perfect entertainment choice for basically any type of event. Kiddos will love a family friendly and even educational ventriloquist for their next birthday party, and you and your friends can enjoy a ventriloquist with more adult comedy at your next private or corporate event. Search for Ventriloquists in Kansas City, Missouri above. 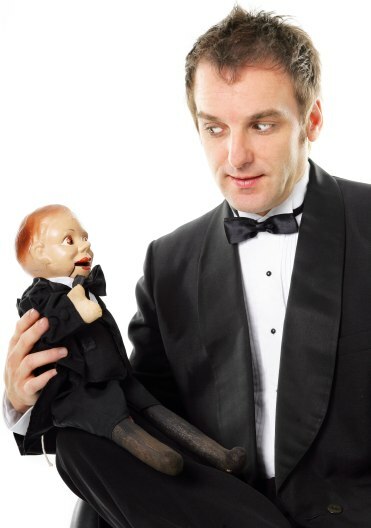 Please note that these Ventriloquists may also travel to North Kansas City, North Kansas City, Westwood, Roeland Park, Riverside, Fairway, Mission Hills, Mission, Merriam, Parkville, Sugar Creek, Claycomo, Birmingham, Lake Quivira, Pleasant Valley, Weatherby Lake, Courtney, Edwardsville, Waldron, Shawnee Mission, Ferrelview, Bonner Springs, Mission Woods, Lake Tapawingo, Farley, Lees Summit, Lansing, Basehor, Missouri City, and Platte City.